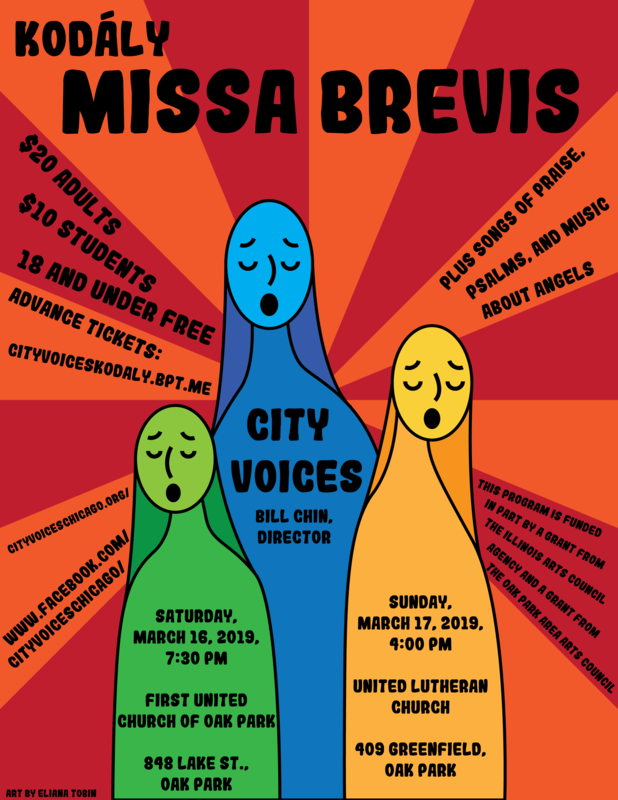 City Voices is the most versatile community chorus in the Chicago area. Members are experienced choral musicians who understand the joy of singing a diverse, challenging repertoire with friends, and bringing the beauty of that work to our community. City Voices debuted in 2009 with Music At First’s annual Sing We Joyous holiday concert and as part of the chorus of the Symphony of Oak Park and River Forest, singing Brahms’s Requiem. Later that year the group performed selections from Monteverdi’s Vespers with The Oriana Singers for the rededication of the windows in Chicago’s historic St. James (Quigley) Chapel. The choir’s diverse repertoire includes Handel’s Messiah, Mahler’s Eighth Symphony, Noye’s Fludde by Britten, and the Rutter Requiem. City Voices performed in the 2013 Community Concert with the Chicago Symphony Orchestra, in Arvo Pärt’s Berliner Messe with the Chicago Arts Orchestra, on tour in London, England with Pro Musica Youth Chorus, and is a regular featured part of the annual Sing We Joyous holiday concert. 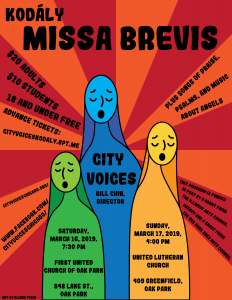 Last season City Voices joined with The Oriana Singers for the world premiere of Peter Meechan’s Love Songs, for brass ensemble, organ, and chamber choir. Director William Chin is founder/artistic director of The Oriana Singers, an international-prize-winning vocal ensemble. 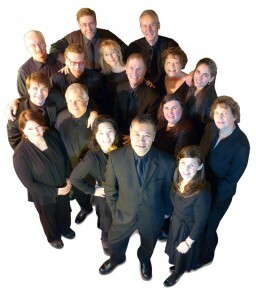 He is a founding and performing member of The Rookery, Chicago’s premiere men’s a cappella ensemble. He also directs the Pro Musica Youth Chorus.